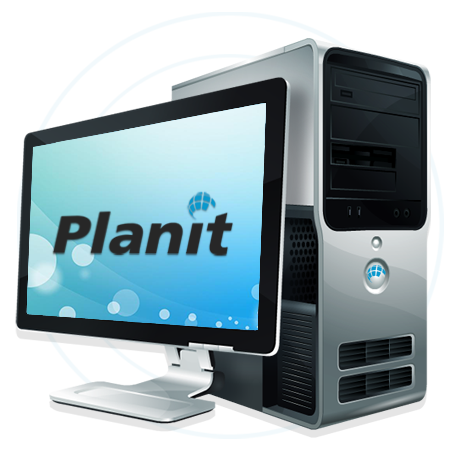 Planit Computing - Providing IT Support, Remote Data Backup, Cloud Computing throughout Dublin and Nationwide. Recently, we were asked by a new client to move their Exchange 2010 Data to a new array on their Windows SBS 2011 server. We knew from previous experience that Windows recommends you backup your server before performing this task – oddly enough, this message did not appear before the crash. We checked around the console and noticed that the Windows SBS 2011 backup wizard had been configured BUT had been failing for the last two weeks. We fixed the backup issue by adding a new external 2TB hard disk, performed a full server backup and then proceeded to move the Exchange Server Data again. When we launched the “Move Exchange Server Data” task, it completed successfully with no issues / crashes. Moral of the story – always check your backups before performing these tasks ! If you’re experiencing issues with moving your Exchange 2010 Data to a new location, feel free to call Planit Computing on 01 485 2222 for a free, no quibble IT consultation. Still running Microsoft Windows XP in your business? In April 2014, Microsoft is switching support for XP OFF. This is no joke: Microsoft is putting XP to the grave. There will be no more security updates or patches. If you’re still using it and a weakness or exploit is found, tough luck: there will be no fix nor protection from Microsoft anymore. Your computer security WILL be at risk. From experience, this is not a small or minute problem. Over 35% of all office PCs in Ireland are still running Windows XP. The public sector – including schools, hospitals, government departments, authorities and other institutions – also use the 12-year-old operating system in large numbers. From April 2014, these departments will be at risk, FACT. Why such a lengthy delay? 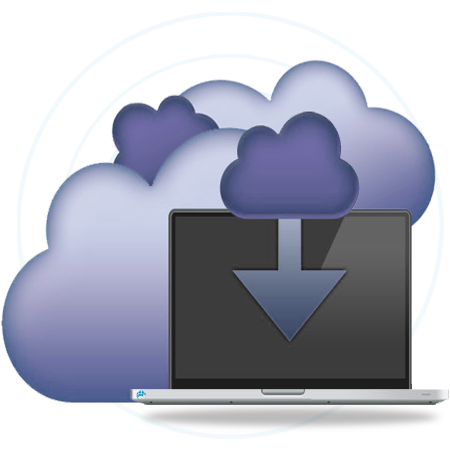 Proprietary / custom software – specific software programs that are designed to work with Windows XP and Windows XP only, usually in 32bit architecture. 64 bit what? So, upgrading from XP to Windows 8 or Windows 7 could mean a much larger, costly overhaul with significant logistics involved. But don’t try pleading that when you’re calling on Microsoft for help – the company’s Irish executives have made it quite clear that such excuses will fall on deaf ears. They have advertised the switch off for years. The company has been warning about this for at least two years. They have sent emails, put out leaflets, blogged, phoned up key customers etc. Microsoft even deferred the shut-off date on a previous occasion due to customer inaction on the matter. But not this time – no more shut-off’s. From April 2014, Microsoft has firmly stated that you’re on your own with XP. When the first serious exploit and virus attack aimed at XP occurs in April 2014, Microsoft are adamant that they won’t answer your calls on it. “Microsoft Windows XP is no longer safe enough to defend against the onslaught of modern threats that organisations face on a daily basis,” warns an official Microsoft document given out to multiple Irish business customers. 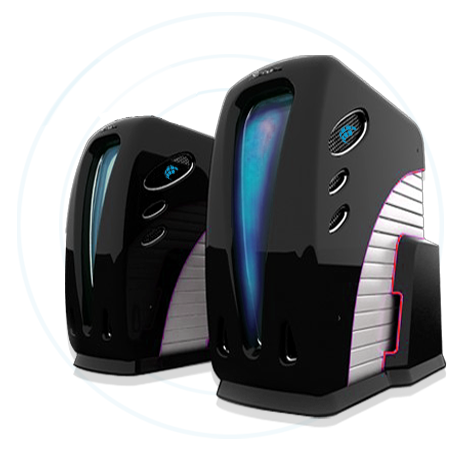 Thinking of upgrading your office systems from Windows XP to Windows 7 or Windows 8? Call us today for a free, no quibble quotation. Put simply, a Virtual Private Network, or VPN, is a group of computers (or discrete networks) networked together over a public network—namely, the internet. Businesses use VPNs to connect remote datacenters, and individuals can use VPNs to get access to network resources when they’re not physically on the same LAN (local area network), or as a method for securing and encrypting their communications when they’re using an untrusted public network. When you connect to a VPN, you usually launch a VPN client on your computer (or click a link on a special website), log in with your credentials, and your computer exchanges trusted keys with a far away server. Once both computers have verified each other as authentic, all of your internet communication is encrypted and secured from eavesdropping. The most important thing you need to know about a VPN: It secures your computer’s internet connection to guarantee that all of the data you’re sending and receiving is encrypted and secured from prying eyes. The privacy minded and security advocate. Whether they’re a in a strictly monitored environment or a completely free and open one, this person uses VPN services to keep their communications secure and encrypted and away from prying eyes whether they’re at home or abroad. To them, unsecured connections mean someone’s reading what you say. The best VPNs offer a solid balance of features, server location, connectivity protocols, and price. Some are great for occasional use, others are geared towards getting around the location restrictions companies put on their apps and services, and others are targeted at people who do heavy downloading and want a little privacy while they do it. Logging: When you connect to a VPN, you’re trusting the VPN service provider with your data. Your communications may be secure from eavesdropping, but other systems on the same VPN—especially the operator—can log your data if they choose. If this bothers you (e.g., you’re the privacy/security advocate or the downloader), make absolutely sure you know your provider’s logging policies before signing up. Contact PlanIT Computing today on 014852222 for a breakdown of options available for your VPN requirements. While testing Windows Server 2012 in our IT test lab – we shut down a virtual machine forcefully using VMware Player. After we shut the Virtual Machine down, we tried to start it up again – which we received the following error message: “VMware player cannot open disk … Failed to lock the file” error message. We checked the directory where the Virtual Machine was stored and noticed, along with the VMX and VMDK files, there were several LCK files – these are lock files used by VMware to lock the virtual disks. We removed each of the folders ( each containing one 1kb LCK file ) and started the Virtual Machine again – this time the Virtual Machine loaded up fine. If you’re experiencing issues with your VMware or Virtual Environment and the above does not resolve your issue – feel free to contact us now on 01 485 2222. One of our test beds was experiencing an issue upgrading the VMWare Player from version 3 to version 5. Trying to uninstall Version 3 through add/remove programs provided the same error. The “Program Install and Uninstall troubleshooter” from Microsoft didn’t fix the issue either. This provided the fix and allowed VMWare Player to upgrade successfully. If the above solution does not resolve your problem, please feel free to contact us on 014852222. Virtualization allows your company to consolidate IT applications & databases onto a reduced number of servers by utilising all of the resources available on the equipment that traditionally wasn’t previously possible to achieve. Virtualization can offer your company better value for money on hardware investment, faster recovery time in the event of a critical failure. 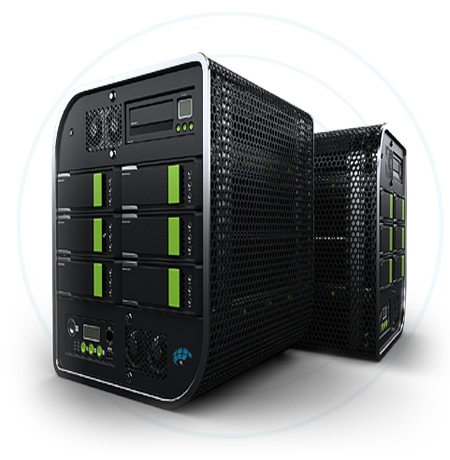 Power consumption is also reduced as a there is a substantial reduction of equipment needed to manage your IT business applications. Are you embarrassed to email prospective clients because you conduct business from a Yahoo! address? Are you forever tied to a slow ISP because you don’t want to change your email address? Does your computer download messages twice when you use your smartphone or iPad? Why is it so complicated to share a calendar with your manager? And where are your messages actually stored? Are you using UPC broadband in your home or business? Still using the default wifi password? Your business / home network is a potential target for hackers. Back in November 2011, we blogged ( http://www.planitcomputing.ie/blog/?s=upc&submit=Search ) about the algorithm used by UPC and how it was particularly weak against an offline dictionary attack which could allow intruders onto your network if the wireless key was acquired. We notified UPC about the problem in November 2011 yet UPC are still supplying customers with newer modems / horizon boxes that use this algorithm. At the time, graphics cards were expensive and clustering several machines was not financially viable to the average hacker. Each .txt file weighed in at around 60GB’s each. The 26 files took up about 1.6TB of storage. We now had the complete key space, partitioned into 26 different files. This allowed us to distribute the brute force attack amongst multiple computers. There are other ways with ocl-hashcat but this was the simplest. For €185, we had built a computer that could crack the default UPC wireless password within 30 days. The WPA-PSK handshake we used started with the letter D and was cracked within 96 hours. We ended up getting a second machine for the same price which resulted in our maximum cracking time being reduced to 15 days. If you’re using the default password on your UPC broadband connection, we recommend changing it immediately to a more secure password, using a mix of letters, numbers and symbols. If you have any queries or questions on the above, please feel free to leave a comment. Any organisation should have a formal support agreement in place with their IT service provider. However, many organisations don’t have a formal agreement in place and often those that do don’t always take the time to read and understand it. Any support or service agreement should clearly state what is included (and excluded) in the service provided. The most important aspect of the support agreement is the SLA or Service Level Agreement. This is a common understanding of the service provided including response times, guarantees and warranties associated with the support of your IT systems, services and applications. Multiple SLA’s depending on the importance of the system or service. For example, critical IT hardware could have a 0 – 4 hour response time, along with the engineering time to resolve the issue, time to liaise with the hardware manufacturer to avail of warranty, spare parts etc. Critical hardware devices include servers, network switches, firewalls, phone systems and can be thought of as systems that impact the entire organisation in the event of failure. Non critical hardware such as laptops, PC’s and Printers might have a next business day response time as failure would not impact the entire organisation.